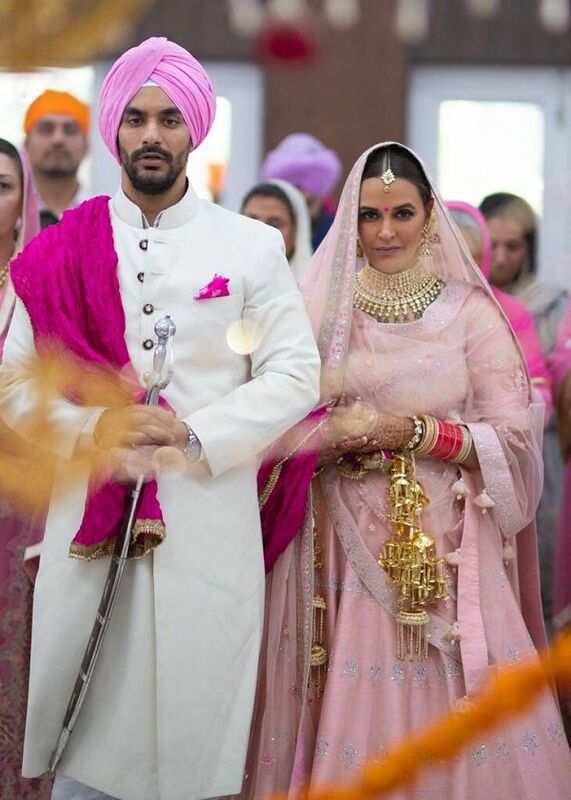 Neha Dhupia and Angad Bedi surprised everyone when they announced their marriage on May 10, 2018. The two got married in a beautiful Anand Karaj ceremony which took place in Delhi. The wedding ceremony was a very private affair and was attended by only a few family members and common friends.Now the couple is enjoying their married life to the fullest. Recently Dia Mirza and her husband Sahil Sangha held an intimate dinner for the couple. The dinner was also attended by Karan Johar, Soha Ali Khan, Kunal Kemmu, and others.